The Iowa Academic Advising Network (IowaAAN) serves professionals and students from colleges and universities with interest in the area of academic advising and who champion the intellectual, personal, and career / vocational advising needs of students in the state of Iowa. IowaAAN was founded to establish a collaborative professional environment, enhance the level of recognition of academic advising, and promote quality academic advising throughout the state. IowaAAN fosters the personal and professional development of its members by establishing opportunities for participation and discussion, debate, and the exchange of ideas concerning academic advising, the state of Iowa, and related areas of higher education. 1. Provide support and professional development opportunities in the field of academic advising. 2. Establish a communication network, collaborative environment, and sharing of ideas/information among the members. 3. Promote the profession of academic advising and recognize individual/program achievement throughout the state. 4. Foster and provide support for undergraduate and graduate students interested in pursuing the profession of academic advising in the future. 5. Support the goals and programs of the National Academic Advising Association (NACADA). Academic advising is an interactive process in which the advisor assists students in setting and achieving academic, professional, social, and personal goals that are consistent with their unique interests, values, abilities, degree requirements, and vocational expectations. Advisors provide a wide range of information to students through a variety of means and modalities. 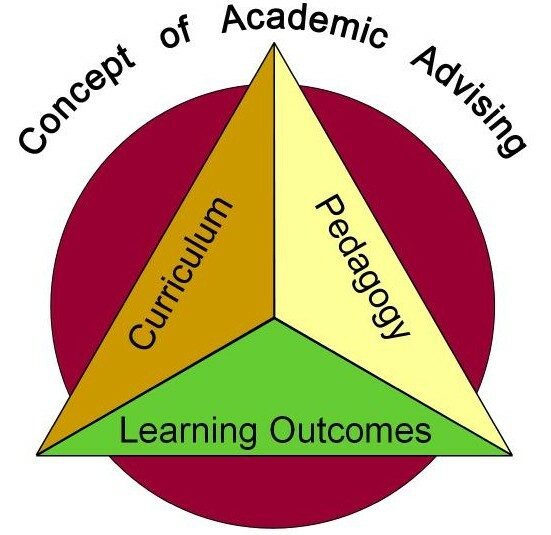 Advisors create a supportive environment in which they may challenge students to take responsibility for making appropriate academic, personal and career decisions.